O’Flynn tops the leaderboard on three under par with Kinsale’s Kieran McCarthy the only other player in red figures after a second round 69 left him alone in third on 143. Killeen Castle course superintendent Mark Collins is fourth on level par with three-time Munster Strokeplay champion and this year’s West of Ireland Championship runner up Niall Gorey of Muskery just four off the pace in a three-way tie for fifth with fellow Muskerry man Sean Barry and 16-year old Jack O’Flynn, brother of tournament leader Ian. 148 Shan McGlynn (Carton House) 76 72, Sean Carter (Stackstown/NUIM) 76 72, Simon Ward (Co Louth) 75 73, Ciaran McKenna (Mallow) 72 76, Eugene Smith Ardee 71 77. Three-time winner Niall Gorey might be the bookies' favourite but any one of a dozen played could win this weekend's Munster Stroke Play Championship at magnificent Cork Golf Club. 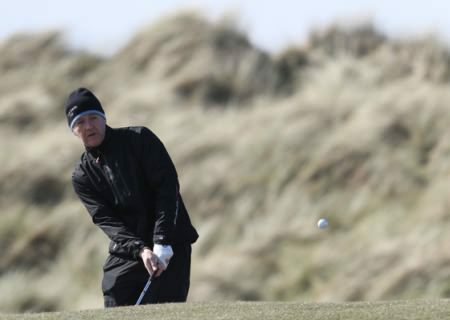 Royal Dublin's Barry Anderson will return to Cork Golf Club in two weeks' time to defend his Munster Strokeplay title. Brian Casey won the Munster Strokeplay by 10 shots.Headfort’s Brian Casey cruised to an impressive 10 shot win in the Munster Strokeplay Championship at Cork Golf Club. The reigning Irish Youths Amateur Close champion shots rounds of 74, 69, 64 and 66 to finish on 15 under par 273 and win comfortably from West Waterford’s Gary Hurley (283) and Rathsallagh’s Jack Hume (286).